Tell us a little bit about how you got started in the industry? "I actually studied Architecture for seven years. I also worked in that field for a while, also engineering. I think it's great to actually learn from multiple fields. I have been playing musical instruments since I was about five years old and learnt violin, viola classically and played in orchestra’s etc. Plus, during the whole time I was doing Architecture I was also in bands. One of them was successful enough to start making an album, but we split before the album was finished. By that time I was doing 'media' music anyway such as radio, advertising, promos etc. This lead onto me doing that professionally. 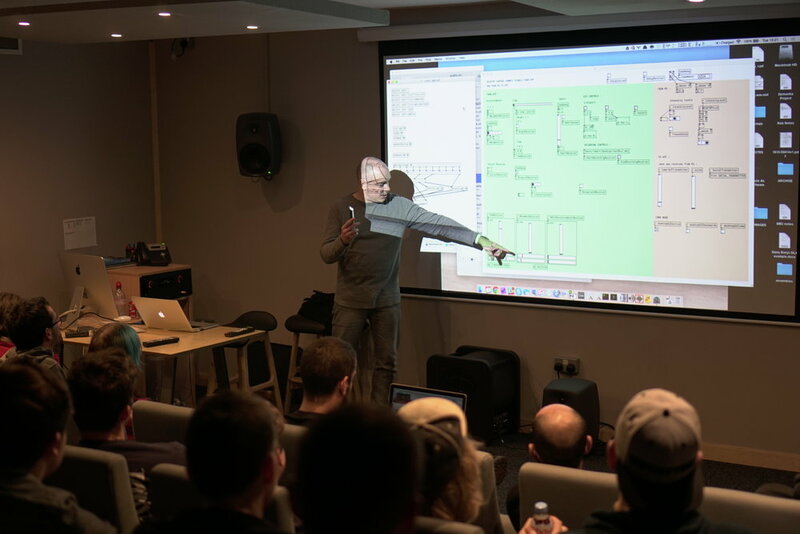 I then started to look towards more interactive and adaptive music, so thats when I learnt Pd [Pure Data]. That arc of doing various different things definitely made me think about music and design together and in a flexible and unusual way." It must be a very unique and constantly changing business. How do you keep up to speed with the technologies? "Well I guess I am one of the people who pushes for changes myself. The range of different technologies coming along is really exciting. I think the mainstream of music and sound production for media is actually pretty conservative. Breaking out of the usual way things are done is sometimes a challenge, more demanding to do and can be frustrating. But it also leads you to very interesting places artistically and totally new types of experiences for the listener, player or user." What do you think the applications of procedural audio game techniques are for VR? "Procedural sound design which responds to continuous and fluid interactions from the user is a great possibility. I think this could also affect how music reacts to player activity. Of course more elaborate spatialisation and processing are also interesting." Do you think sound design is as integral as graphical design in games now? "Well they certainly don’t have the same realtime resources allocated to them. 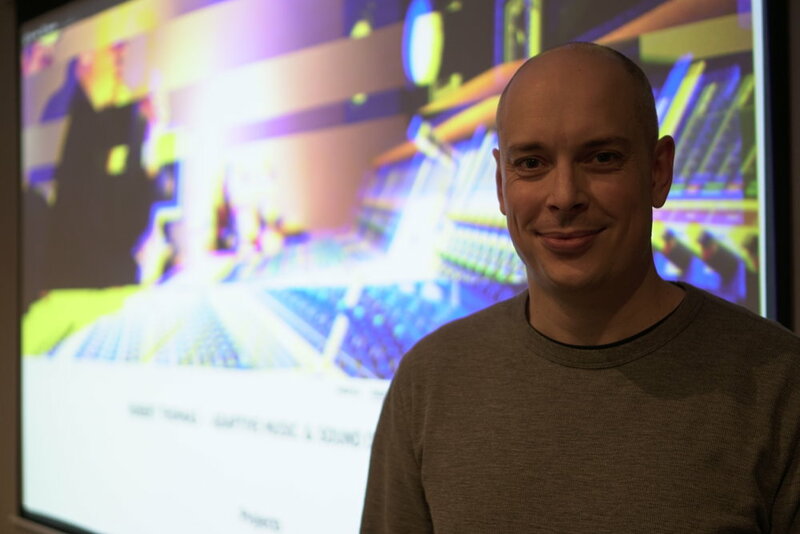 But I think we need to explore the benefits of realtime procedural sound and learn why we might want to develop realtime approaches for sound and music which we already have for graphics such as models, shaders and so on." How do you usually get approached for a project? "Right now people usually find out about my work from contacts of theirs in the same field. 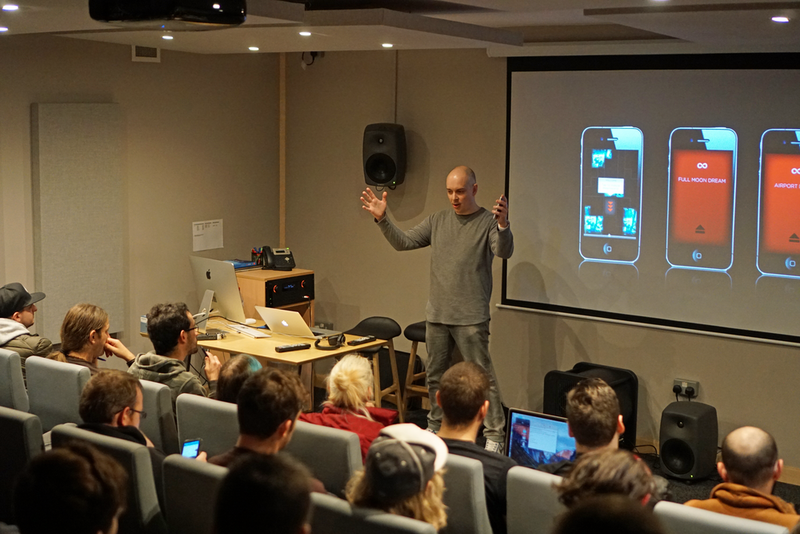 A lot of app projects happen because they need someone who has experience and knowhow to make unusual music and sound systems which respond in realtime to something like people, situations, biometrics etc. They ask around and sometimes reach me. I think that my experience in the UX design of apps and experiences is also helpful here because people know I have experience delivering something which fits into a product vision." Is it difficult working for high end clients that may not understand the complexities of a project? Any examples where the client thinks the project will be simple and you know otherwise? "Sometimes, but thats part of the art of doing this stuff, helping to guide the project in a good direction from the audio perspective. It's important to explain if projects are wildly too ambitious early on. If I know this to be true I just say it immediately. If I think it requires investigation I limit the risk to the client by breaking it down into exploratory stages just looking at particular bits of it so we can assess how to move forward." What's been your proudest moment during your career so far? Im not sure really if one project sticks out. RjDj as a company was a big part of my life. It was great to work on the Inception app and that was certainly well received. More recently, it's been great to work with Massive Attack on the sensory music app, Fantom. I really enjoy a lot of the work I do with health and wellness focused startups like Biobeats and working with Mikey Seigel and the Pzizz guys also. What's your advice for people wanting to break into game audio beyond just studying a course? "So, I don't really do that much work specifically in game audio. However a lot of the things I build and do are very similar to game audio systems. The main difference is I often link to real life sensors instead of in-game events. I feel very lucky to not really have regrets about how I have done things. I try to always look forward positively to all the exciting projects coming up." Thomas explaining his work on the incredible Inception Movie app that augments your acoustic reality! What do you predict the next big thing is in audio for games? 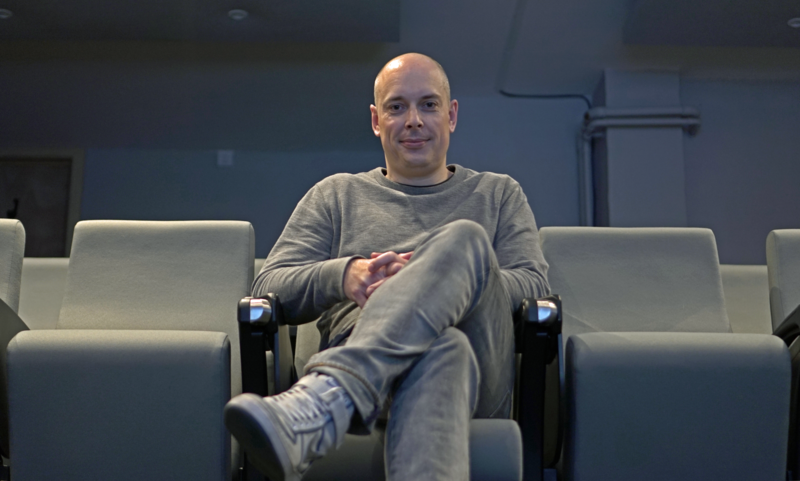 "It feels like lots of games and many types of music and sound experiences are increasingly embracing more adaptive and procedural methods in some way. I think its logical that this happens and its good if it happens at a different pace in different sectors which is appropriate for that area. I think the work Enzien audio is doing in procedural sound is a key area of how it can move forward." 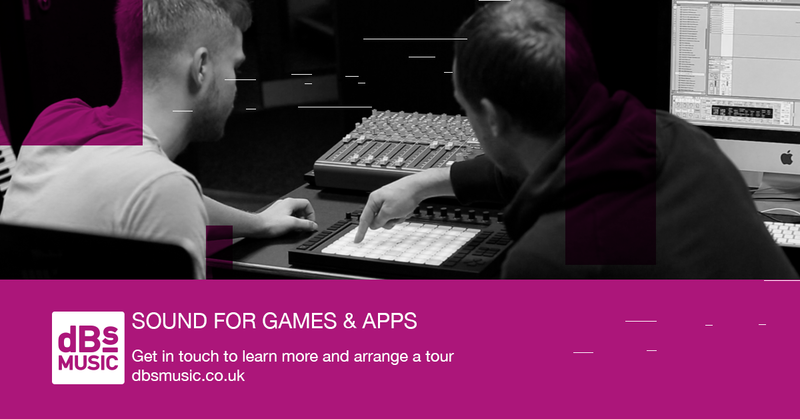 Any recommended resources online for people looking to get into the games, apps and adaptive sound business? Most of all i'd just say, find a very simple game or experience or app you want to make, and then actually make it, as a real product. Test it with real people, release it and iterate it a few times. Doing it for real is invaluable."